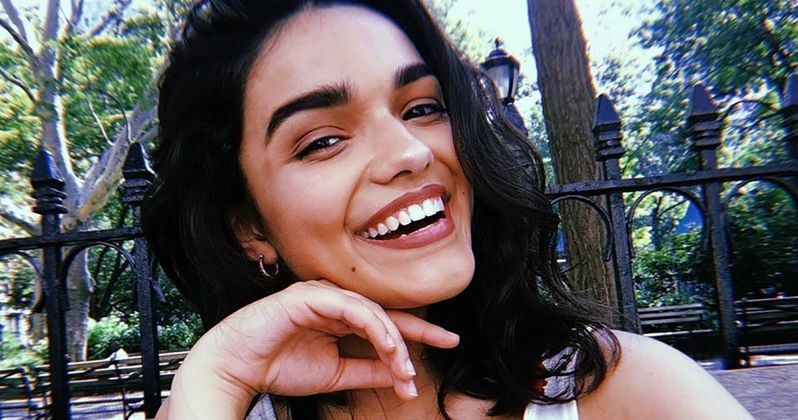 Steven Spielberg's West Side Story remake has found its Maria, as well as several other key cast members. Spielberg has been putting together this remake of the classic musical, which has been described as a passion project for the legendary director, for some time now. The pieces are finally coming together and this is going to be his next movie. Now, he's just hitched his wagon to a complete newcomer in the form of 17-year-old high school student Rachel Zegler. According to a new report, Rachel Zegler, who has no previous experience in Hollywood, will play Maria in the new West Side Story. The actress was cast after an extensive casting search was launched, which looked at more than 30 thousand people for the role. Ultimately, Zegler caught the attention of the casting directors after she submitted a video of herself singing Tonight and Me Siento Hermosa. Zegler had this to say in a statement. "I am so thrilled to be playing the iconic role of Maria alongside this amazing cast. West Side Story was the first musical I encountered with a Latina lead character. As a Colombian-American, I am humbled by the opportunity to play a role that means so much to the Hispanic community." In addition to Rachel Zegler, several others have been cast in key roles including Broadway stars Ariana DeBose as Anita and David Alvarez as Bernardo. Additionally, theater veteran Josh Andrés Rivera has been cast as Chino. They join the previously cast Ansel Elgort, who will be taking on the lead role of Tony, as well as Rita Moreno, who won an Oscar for her portrayal of Anita in the 1961 version. This time around, Moreno will play Valentina, an expanded version of the character Doc. Steven Spielberg had this to say about the new cast members. "When we began this process a year ago, we announced that we would cast the roles of Maria, Anita, Bernardo, Chino and the Sharks with Latina and Latino actors. I'm so happy that we've assembled a cast that reflects the astonishing depth of talent in America's multifaceted Hispanic community. I am in awe of the sheer force of the talent of these young performers, and I believe they'll bring a new and electrifying energy to a magnificent musical that's more relevant than ever." Steven Spielberg began putting this project together once Indiana Jones 5 was delayed. The director will reunite with Harrison Ford for Indiana Jones 5 after this project wraps up. Filming is expected to begin on West Side Story this summer, which means we're likely to see it in 2020. More than likely later in the year, as Spielberg's movies are quite often in the conversation for awards season. The script comes from Tony Kushner and it's being adapted from the 1957 musical from Arthur Laurents with music by Leonard Bernstein. We'll be sure to keep you posted as further details on the project are made available. This news was first reported by Deadline.